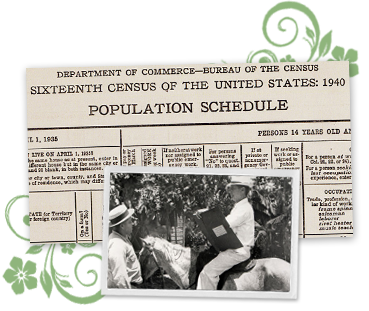 The 1940 Census is the largest census released to date and the most recent available to the public. If your family members were alive between 1930-1940 they are likely included in the 1940 U.S. Census. The 1940 U.S. Census included new questions which provide deeper insights into the cultural and economic events redefining of your ancestor’s lives. The 1940 Census was particularly interested in understanding migration of the American population by specifically noting people’s addresses in 1935 and 1940. US Territories Participating: Alaska, American Samoa, Guam, Hawaii, Panama Canal, Puerto Rico, and the American Virgin Islands. Names - of each person living in the house as of April 1, 1940. Household Data - Number of people and if the house is rented, owned or a farm. Place of Birth - noted both US & foreign locations - Distinguished Canada-French vs. Canada-English and Irish Free State (Eire) vs. Northern Ireland. By the time of the 1940 Census was conducted, the U.S. was finally out of the Great Depression, however, the world was on the brink of World War II. 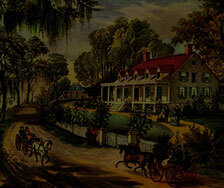 The events during 1930-1940 had a significant impact on the daily lives of our ancestors. Learn how their lives changed between 1930 to 1940 and how these events shaped your family history. 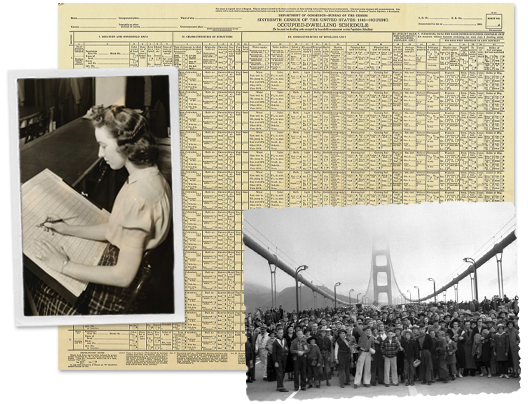 Combine the 1940 census information and our vast collection of U.S. newspaper articles to learn more about your ancestors. 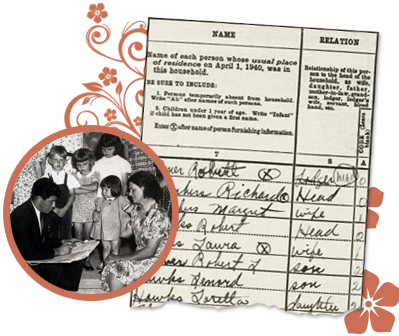 Start by searching a name and uncover interesting information and facts about your family history today! After the Stock Market crash of 1929, the U.S. plummeted into the Great Depression and remained so for 10 years, from 1929-1939. The first African American federal judge, William Henry Hastie, is appointed in 1937. On November 8, 1932, President Franklin D. Roosevelt is elected President. His policies brought the U.S. out of the Great Depression. The Golden Gate Bridge opened in 1937. New York World’s Fair and the San Francisco Golden Gate International Exposition took place in 1939, signaling the end of the Great Depression and the belief in an optimistic future.